MEGA is a relatively new cloud storage option in the industry compared to the more established players such as Google’s Drive, Microsoft’s OneDrive and Dropbox. However, it claims to have a lot of unique features that can make it a viable alternative to the other options such as a high level of security with a 2048-bit RSA public/private key generated for you when you sign up, collaboration and a whopping 50GB free storage space. 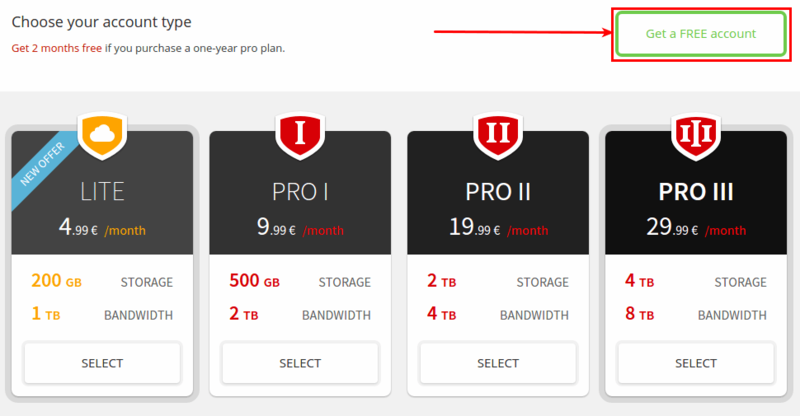 Let’s take a closer look at this cloud storage offering and see if it measures up to the others. MEGA Cloud Storage is available virtually everywhere. Apart from being accessible from modern web browsers, they have a sync client (MEGASync) for the all the major OSes including Windows, Mac and Linux. If you have used Dropbox, you will find that MEGASync behaves in a similar way, allowing you to place the files you want to upload in a special folder which you will create when installing the app. It will sync to the cloud whenever you have a Wi-Fi connection. 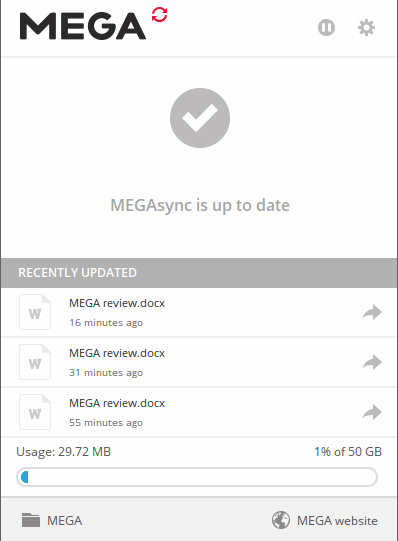 MEGASync also gives you the option to synchronize your entire cloud drive or selectively sync folders. You also get a small indicator to easily access it and see the status of your files. 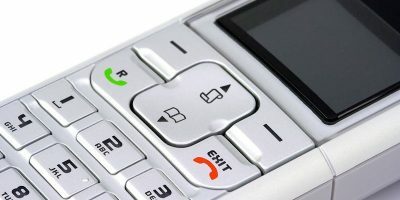 In addition, there are mobile apps for Android, iOS, Windows Phone and even Blackberry. 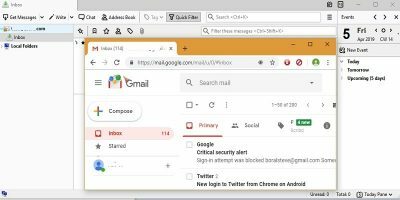 MEGA Cloud also provides extensions for Chrome and Firefox, speeding up your experience when accessing their web client from any of the two browsers. The biggest allure of MEGA is the amount of storage space you get with a free account. Its 50GB free space is more than triple the amount Google Drive and OneDrive offer (both offer 15GB) while Dropbox offers a paltry 2GB, although you can increase this with some introductory offers and referrals. There are also paid plans available ranging from $5.63 per month for 200GB storage and 1TB bandwidth to $33.88 per month for 4TB storage and 8TB bandwidth. You also get two months free if you purchase a yearly subscription. MEGA is one of the most secure cloud storage services because it offers end-to-end encryption of your data which means files are encrypted during transit and when stored on the server. 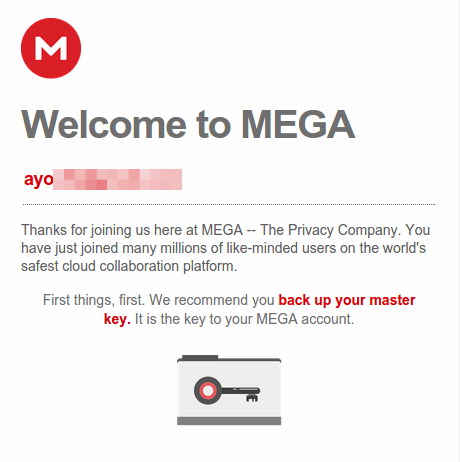 MEGA gives you total control over your data by allowing you to hold the master decryption key, which means, theoretically, only you (and not even the authorities) have access to your stored data. If you forget your password, the only way you can recover your account is by using the master key. In the case that you do not have the master key, there is absolutely no way to recover your account so your files will remain encrypted and stored on the server. It is recommended that you back up this master key properly once you create an account to prevent this from happening. Collaboration is also very good and private with MEGA. You can share files with other MEGA users by selecting the file or folder to be shared and selecting the users you want to collaborate with from your contacts list. It also facilitates real-time sharing so you can work simultaneously on a document and view updates instantly. 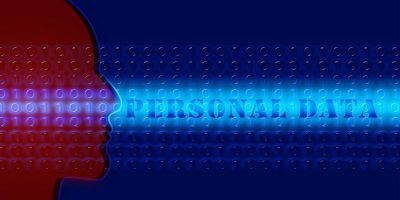 You can also share files with non-MEGA users by generating a link, but you must include a decryption key, otherwise the person will not be able to access the file. In my experience, the speed of uploading and downloading files was top-notch, at least much better than OneDrive where I was coming from. Using the mobile apps are a breeze also, I had no problems accessing my files from my phone or tablet. I haven’t tried uploading an extremely large file, but other users report high speeds for their file uploads which you would expect given their generous bandwidth allowance. Have you used MEGA? Share your experience in the comments below or name your favorite cloud storage. I tried Mega about a year ago but cancelled because viewing photos within the mobile app was extremely inconvenient and it lacked a option to view photos via the gallery app. Has this been improved now? Yes they have made major updates to their app since last year and viewing photos from the app works just fine. If you’re on android, try downloading MEGA v2 from the play store. Lot’s of improvements indeed and still some to go. Unsharp miniatures look very ugly, why they allow that… Also I did not get a security code, only a mail to back up it but when clicking it nothing happend… Has it been back uped, if yes where? No code to copy+save by myself… Very, very unclear… I have an account but no security key… UX has not reached New Zealand yet…! Mega is below average. It screws up your photos – they cannot be viewed full resolution in the app, you only can view them properly after downloading. It crashes all the time, batch upload that keeps going wrong, not suitable for tablets because lacking screen rotation, ugly low-res tiles, flaws with selecting photos to upload… Etc. Etc. Why they don’t just make it as good as Dropbox/NSA… They lacking an up to date coding team that’s for sure. Are you talking about mega.co.nz? 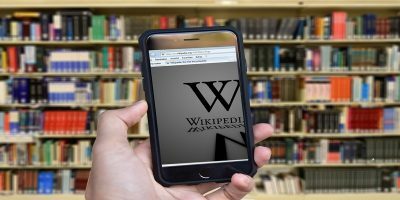 I was surprised that the article didn’t contain any link to the site discussed in the article. @Dane: It seems to me that you need a new computer! Don’t recognize your complaints although I don’t use MEGA that much for viewing photo’s but more for backing up my personal files of administration. 1) Clicking the Megasync icon in the notification area brings up Megasync info window. 3) Clicking the “Download from Mega” menu item lets you browse your entire mega drive and download any files and/or folders. This works even after you log out of Mega on the web page. What do you think about this? It can access your mega drive, because you logged into the MegaSync using your username and password. It’s like saying that you can access your phone after you put your PIN in, or that online banking is insecure if you fill out all the fields. It’s just a non sequitur. That’s a file list. MEGA doesn’t encrypt file names or folders, it only encrypts the file itself. 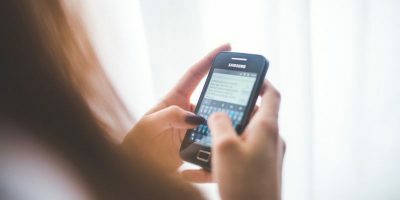 It’s hardly considered a security risk, especially since if someone had access to your computer in such a way that they can see what you see, then you have other problems to worry about. Works brilliantly, fast, secure and dead easy to use. Really kuul how the Android app syncs all my phone pix so that I can view them on any of my PC’s, online or offline. The Linux syncing prog works like magic. I’m interested in knowing if once setting this up, i can share between “cloud” storage sites. For example, I have files from MS one drive I’d like to share directly with Mega and instead of having to re-upload each file, I’d like to transfer from my existing drive to Mega. I’m not seeing any info on this. Is preview for audio & video available? I want to share the audio & video link with many people but they should not be able to download the file through link shared wherease content should only play in mobile or laptop browser. I had cloud storage via Copy.com, and by getting others to join, I got 55GB of free storage, and their speeds were quite good. But they’re discontinuing as of May 1, so decided to try Mega. I just signed up today, which was very easy. I have an extremely fast internet connection, and 35GB to eventually upload. I started with a very modestly sized folder (111 MB), and Mega is SUPER SLOW. It’s taking over 2 hours to upload! At this rate, it will take almost ONE MONTH non-stop to upload the entire 35GB. Methinks I’ll be looking elsewhere…..